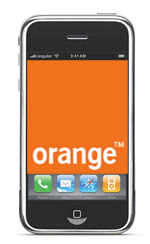 Following on the UK’s O2 and Germany’s T-Mobile announcement that they will be bringing iPhone to their respective country, France’s Orange has just announced their intention to bring the iPhone to France. The iPhone handset is slated to go on sale on November 9, simultaneously with UK's O2 and Germany's T-Mobile November 9 launch. With the world largest mobile phone consumption market in Asia, iPhone will certainly be making its way to Asia soon and I m certain that Steve Jobs must had jotted somewhere on his calendar to schedule a major iPhone launch on this side of the Pacific.